Mesmers create illusions, replicas of themselves that attack their foes. Illusions are directed at a specific target and exist as long as that target is alive, or until they are destroyed. Mesmers can maintain up to three illusions at a time. There are two types of illusions: clones and phantasms. Clones are illusions that look exactly like the caster. The mesmers’ weapons determine which clone skill they will have access to. 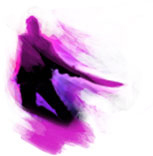 For example, mesmers equipped with swords have the clone-summoning skill Illusionary Leap, which summons a clone at their location that then jumps forward toward the target. Phantasms are illusions that look like transparent versions of the caster and carry their own illusionary weapons. Phantasms are more powerful than clones; they have more health and deal more damage. Again, the choice of weaponry determines the type of phantasm-summoning skill that mesmers can use. For example, mesmers equipped with staves can summon a phantasm that attacks its target and deals extra damage for each inflicted condition. Mesmers can shatter their illusions, destroying them to create a powerful secondary effect. For instance, Mind Wrack detonates all illusions, damaging opponents near them, while Distortion destroys all illusions and distorts the mesmers, allowing them to evade incoming attacks. In addition to creating illusions, mesmers have a range of special skill types at their disposal, such as Mantras and Glamour. This type of skill has two stages: activation and instant cast. The activation stage takes a relatively long time to cast but is then replaced by an instant-casting skill that mesmers can use in the heat of battle. Mantras are powerful because many can be charged up before battle and then used in the middle of another spell, without interrupting that spell. For example, mesmers wielding a greatsword could use Mantra of Pain, which provides an instant damage boost to their greatsword attacks. Glamours are enchantments that manipulate the fabric of reality around mesmers. For example, Veil is a wall that bestows invisibility upon any ally that passes through it. This entry was posted in Guild Wars 2, Other Games on 10/22/2013 by admin.